The Samsung Galaxy S4 Active, which is basically the rugged version of the S4 is now alive and showing online. You can now see what this beauty looks like and we are glad it has been revealed; we say it will be the same as the S4 but we have learned it will not have the same inners. 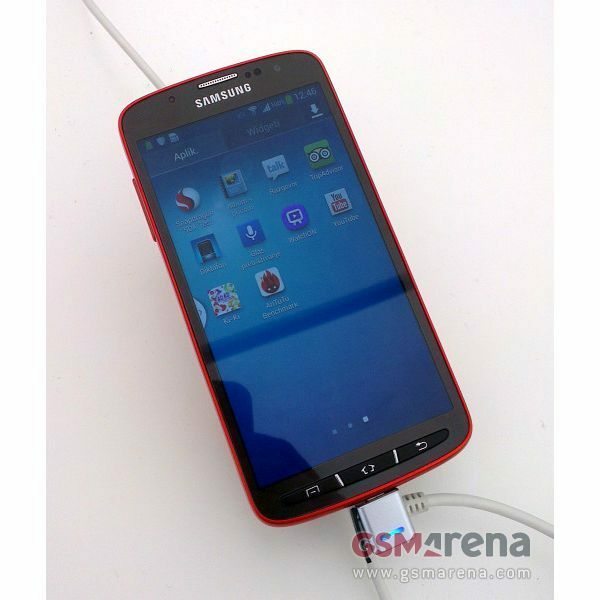 The CPU has now been revealed, before we get into the specs side of things GSM Arena have posted these images we are showing here of the Samsung galaxy S4 Active. 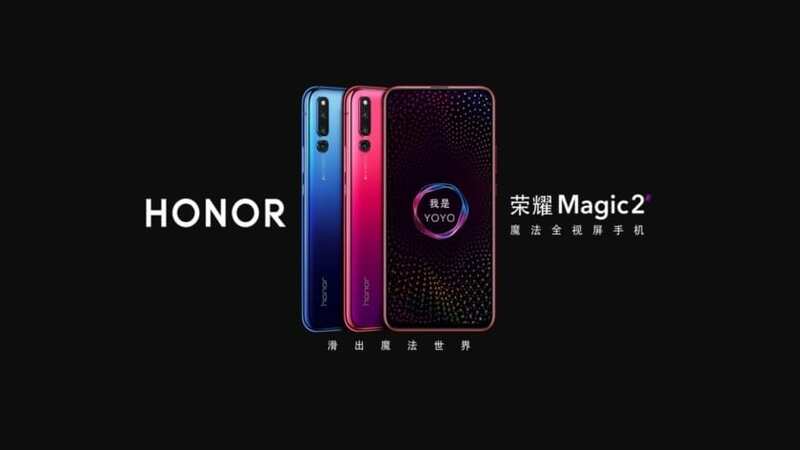 They report that this water and dust proof handset will feature a 5-inch 1080p Super AMOLED display, quad-core 1.9GHz processor with Adreno 320 GPU; they also mention that the CPU is most definitely the Snapdragon 600 chipset. 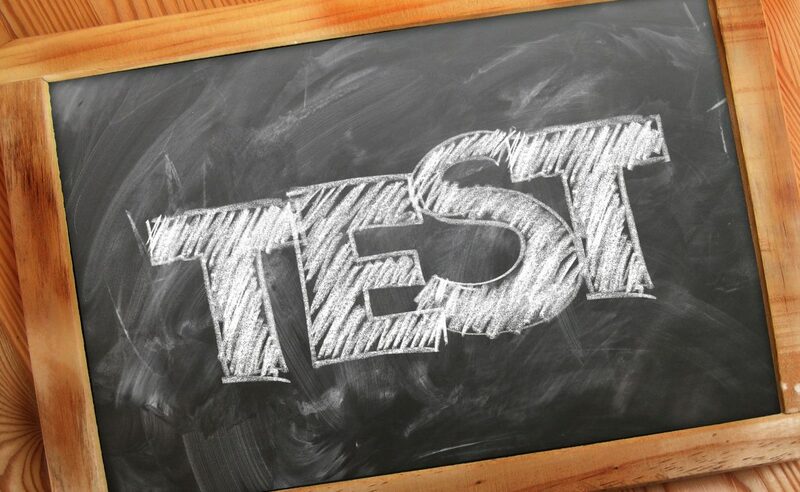 After GSM Arena showed off the photos of the SGS4 Active we decided to look further into this, and thanks to GFXBench via Techtastic it is now being said the S4 Active will NOT come with a Samsung Exynos 5 Octa nor Qualcomm Snapdragon 600, it will instead come with Qualcomm Snapdragon S4 Plus SoC, which is slower. The Samsung Galaxy S4 Active as far as we know will come with two model names, the first will be the SGH-I537 for AT&T is U.S, and the other is the GT-I9295 for Europe. 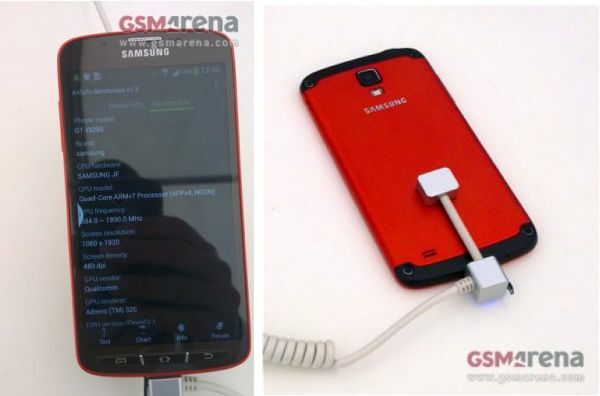 The Samsung Galaxy S4 Active is also said to be coming with a 13MP camera, bolts on the back and with a metallic shell. You will also notice three hardware buttons below the screen (Home / Menu / Back). There is no official release dates or prices as of yet, but we will keep you posted. Are you interested in the Samsung Galaxy S4 Active? Next article Next post: Jolla phone price & pre-order – Do we need Sailfish OS?